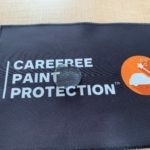 Protect the interior and exterior of your brand-new vehicle with “Carefree Paint Protection” by JM&A available in Northeast Ohio! 2013 Rolls-Royce Phantom in English White over Moccasin interior with black carpets. 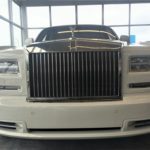 This absolutely perfect Phantom is the dealership owner’s personal vehicle and sits in a heated garage year round. Only 4,500 very careful miles, this is truly one of the finest examples in the country. Please call me for more information. Price was recently reduced considerably for quick sale. 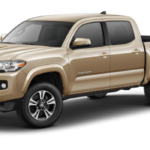 Toyota Sales Report January 2019. 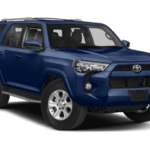 Toyota Motor North America Reports January 2019 Sales 4Runner sales increased 6.9 percent a best-ever January. click here to learn more! Toyota Sienna For Sale in Northeast Ohio – Northeast Ohio Autoshow. 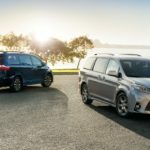 All the details about Toyota Sienna and it’s Trim Levels that you need before making a decision weather Sienna is a good fit for your family and business or not. Toyota Yaris For Sale in Northeast Ohio – Akron Auto Show. 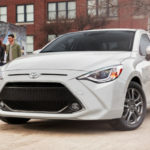 Here is a full review of 2019 Toyota Yaris and its Trim levels right before making a decision to Finance or Lease or Purchase with cash. read the post and share with your loved ones! This week at CES, the international consumer electronics show in Las Vegas, a host of startup companies will demonstrate to global automakers how the sensor technology that watches and analyzes drivers, passengers and objects in cars will mean enhanced safety in the short-term, and revenue opportunities in the future. 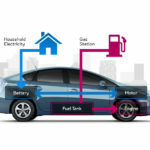 Next Generation of EVs & HVs – Electric And Hybrid Vehicles News. 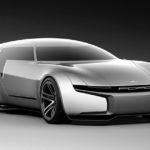 “We are working on an entire portfolio of hybrids which we have been selling since 1997, plug-in hybrids, full battery electric vehicles as well as our fuel cell vehicles,” said Bob Carter, executive vice president of sales for Toyota North America. 2019 Toyota RAV4 Hybrid Release Date – Automotive News. 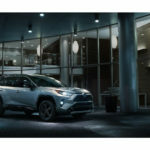 The RAV4 Hybrid will go on sale a few months later in early 2019 or beginning of March 2019. U.S. sales rise 2.2% in December – Automotive News. U.S. auto sales rose 2.2 percent in December, capping a year that saw overall volume rise 0.6 percent even as automakers endeavored to counter slumping car demand with record light-truck deliveries. December — with sales of 1.639 million — turned in the second-best month of the year on a volume basis. 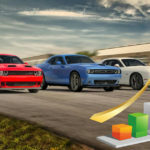 And the seasonally adjusted, annualized rate of sales in December — 17.72 million — was a high for the year, providing automakers with some momentum and optimism heading into 2019. America’s Best Selling Luxury Car is Mercedes-Benz – Luxury Care. 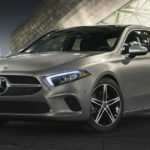 Mercedes-Benz Is America’s Best Selling Luxury Car for Third Year Running. Daimler brand beats BMW by fewer than 5,000 vehicles. Audi stumbles, reports its first annual drop since 2009. Fewer than 5,000 vehicles separated the top two luxury brands by sales in the U.S. last year, with Mercedes-Benz barely topping BMW for a third straight victory. U.S. light-vehicle sales closed out 2018 strong – Automotive News. Despite rising interest rates and a volatile stock market, U.S. light-vehicle sales closed out 2018 strong. The SAAR of 17.51 million in December 2018 was the second highest of the year. Those sales were given a midyear boost, as new tax laws put more money into the pockets of consumers and provided favorable incentives for business owners to purchase new light trucks for their businesses. Automotive News by Luxury Care. KIA & HYUNDAI ENGINE FIRE – Automotive News. 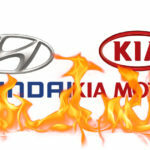 Kia and Hyundai CEOs refuse to testify in front of U.S. Senators about some of the companies’ cars catching fire. here is the most updated report on this issue by District Parts & Service Manager for Kia Motors of America. Please share it with KIA & HYUNDAI owners. Waymo self-driving vehicles Test Result – Auto News. As reported by the Arizona Republic and New York Times, the attacks have ranged from sliced tires to thrown rocks, to people attempting to run the test vehicles off the road. Guns have been brandished, and a worrying case had a driver aim a Jeep head-on at a Waymo car to force it to stop. Auto Imports Tariffs Timeline On Foreign Cars – Auto News. 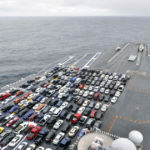 Feb. 17 is the deadline for the Commerce Department to publish a report on the national-security implications of auto imports that could justify tariffs on foreign cars. If you think President Donald Trump’s trade agenda was busy in 2018, get ready for much more to come in the new year. 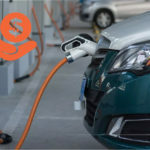 The first quarter of 2019 will be pivotal, as the U.S.
Tax Credit For Electric Vehicle Owners – All States | Luxury Care, The federal government and a number of states offer financial incentives, including tax credits, for lowering the up-front costs of plug-in electric vehicles (also known as electric cars or EVs). The federal Internal Revenue Service (IRS) tax credit is for $2,500 to $7,500 per new EV purchased for use in the U.S. The size of the tax credit depends on the size of the vehicle and its battery capacity. To find out specific tax credit amounts for individual vehicles, click here!. 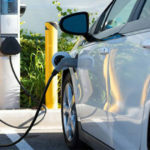 Electric Vehicle Sales in the U.S. in 2018 – Electric Cars Newsroom. GM hit 200K total electric vehicles sold in the United States by the end of 2018, reaching a threshold that triggers a phase-out of a $7,500 federal tax credit over the next 15 months, a person briefed on the matter said Wednesday. The largest U.S. automaker reached the figure in the fourth quarter of 2018, which means the credit will fall to $3,750 in April, and then drop to $1,875 in October for six months. The credit will completely disappear by April 2020. The 200,000 figure covers GM’s cumulative EV sales since 2010. 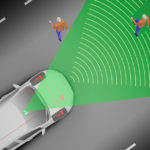 IIHS to Begin Testing Pedestrian-Detection and Automated-Emergency-Braking Systems The Insurance Institute for Highway Safety will add the tests to its roster of vehicle-safety evaluations. Three separate tests will be conducted. In the first, a dummy representing an adult-sized pedestrian enters the lane from the right side as the test vehicle approaches at 12 mph and again at 25 mph. The pedestrian is midway between the right side and the center of the vehicle. 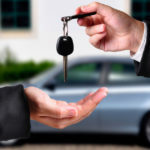 Better Auto Finance in 2019, Auto lending technology will take several leaps forward in 2019. One of the biggest involves the usage of cloud-based platforms for payments, applications, and document management. Read more and share your thoughts with us! 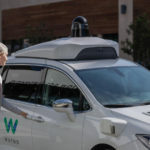 Auto Investors Want Something More Potent – What Technology investors like company CEOs want in return on their investment? Ford Motor CEO boss Jim Hackett. Auto Investors Newsroom! 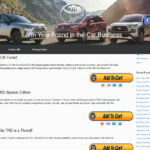 Ordering Cars Online, The shift to more online sales could change the dynamics of automotive retail, allowing dealers to expand their geographic reach, and make it easier for customers to cross-shop stores based on price, retailers and industry analysts say. 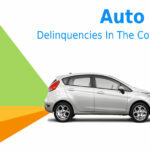 Auto Loan Delinquencies In This year, Delinquencies should stay flat in 2019 despite a cautious increase in subprime loans, according to a TransUnion forecast. 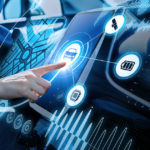 click here to learn more about Auto Analyst Forecasts Industry Trends for 2019!